The Holodomor sculpture is a memorial to the millions of Ukrainian victims of the manmade famine-genocide of 1932-1933. Creation of the memorial was the result of a collaboration between the National Park Service and the government of Ukraine. 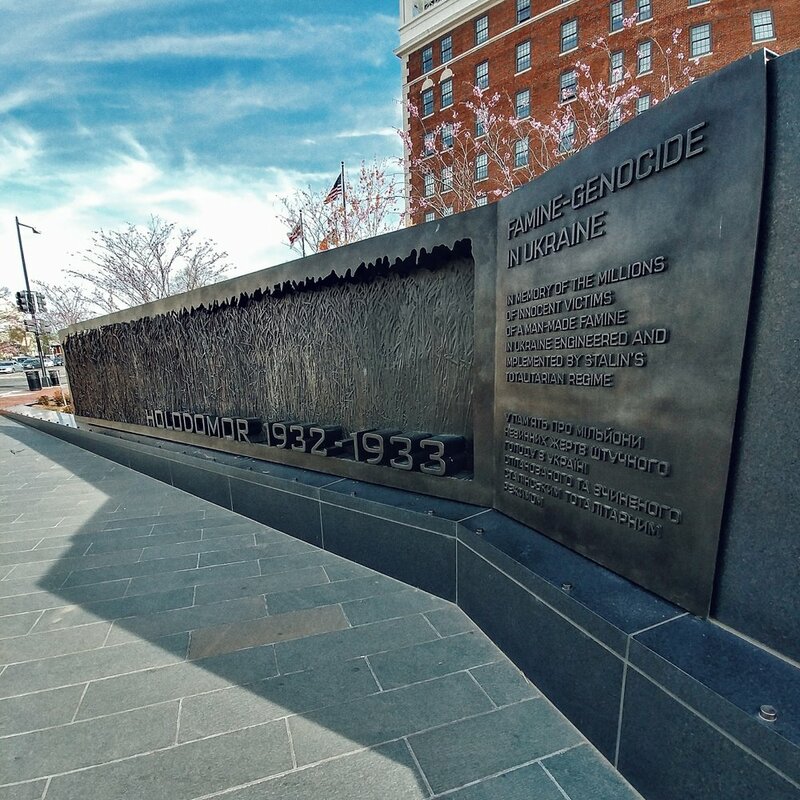 Washington, DC resident Larysa Kurylas designed the memorial, including the main sculptural element, titled “Fields of Wheat.” The Holodomor Memorial is located at 1 Massachusetts Avenue NW, near Union Station. It was dedicated in 2015.